Try It, Love It, Sell it! Giddi up to the gym or the barn, ballet class, or the bay for your triathlon training swim. Our gym bags are light and washable, cute enough to take to the restaurant after the club. 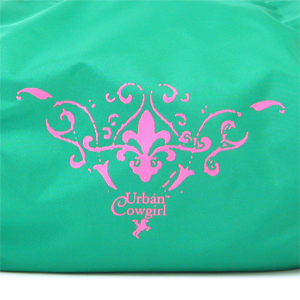 ©2002 - 2011 Urban Cowgirl®, All rights reserved.